Two races for the price of one...the best VALUE in bracket racing! Affordable entry fees! Summit SuperSeries member benefits! Racer appreciation cookout! Round Prizes! 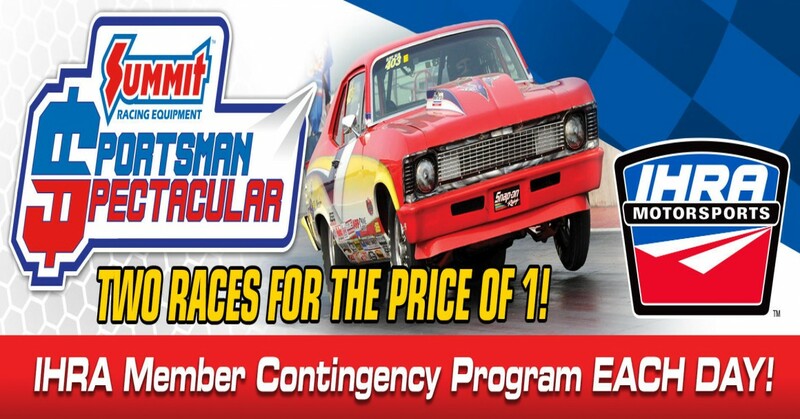 IHRA member contingency program! IHRA IronMan and Big Checks for Champions!